Oy. An hour ago this ball of yarn was an object that I thought was almost finished. 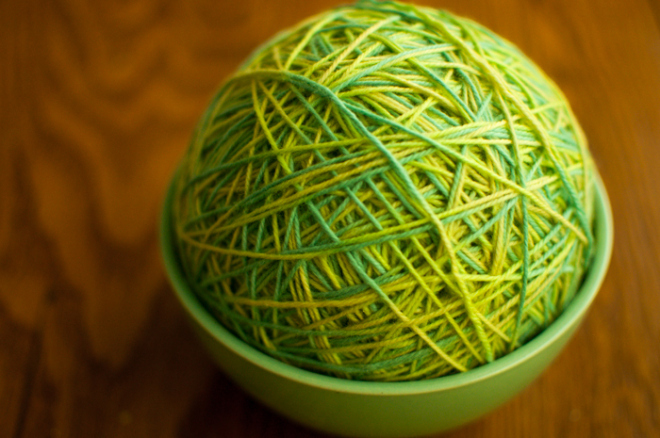 And now it’s a ball of yarn. There was no fixing it. This object-that-shall-not-yet-be-named was the wrong shape, and there was no way around it. All 600+ yards of yarn that had been knit thus far had to be rrrrrrripped. I thought I’d be handing this over to the intended recipient tomorrow!